Article from FOCUS Magazine – Autumn 15 issue. At Farnborough Hill we want girls to enjoy their sport, whether they are elite sportswomen competing at national level or girls having fun, and we aim to promote a lifelong enjoyment of sport. We fulfil the school’s mission to ‘educate the whole person in a happy, caring community’ by catering for all ability levels and providing a sporting programme that is diverse and accessible. We are blessed with 65 acres of beautiful parkland; cross country running is always a pleasure! In addition there are excellent facilities: a superb sports hall, fitness room, 7 tennis/netball courts, football pitch, athletics/rounders facilities, an indoor swimming pool and a brand new floodlit astroturf hockey pitch for September 2015. These enable us to provide a wealth of sporting opportunities, including competitive sport at the highest level; we always enjoy watching ‘old girl’ Alex Danson play hockey for Great Britain, for example when she scored two goals against Japan at the Olympic Park recently. A sense of challenge, combined with sympathetic and varied teaching strategies provides stimulating and enjoyable learning experiences which motivate the girls. Physical Education is available at GCSE and A level and we enhance our programme with professional coaching, recently in badminton, netball, hockey, trampolining and gymnastics. 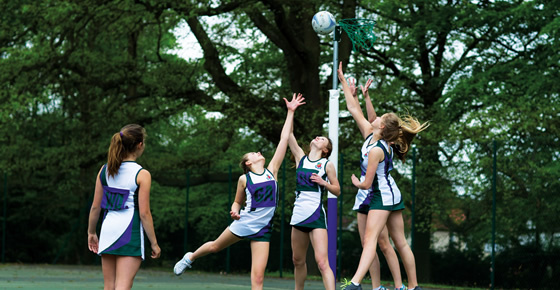 Our extra-curricular programme encourages regular, large-scale participation in clubs which cater for recreational and competitive involvement. We have teams in a wide range of sports and participate in such diverse competitions as the GSA Tennis Tournament (which we won this year in the U12 category) and the Southern Regional Floor and Vault Championships. We regularly assess our provision so that we can offer new and exciting opportunities, for instance a new enrichment opportunity for Sixth Form students was horse riding with the option of a qualification in stable management. Our Equestrian team has also enjoyed success in a variety of local and national competitions. Cricket has been introduced recently as a new sport within the curriculum and as a competitive sport. Our squad has already achieved great success in the Lady Taverners Competition. Highlights in our sporting calendar include overseas trips such as the hockey and netball tour to Sri Lanka this July and our annual gym and dance display is a spectacular showcase for the girls’ talents. Our trophy cabinet is always full as we enjoy tremendous year on year success in a wide variety of district, area and national championships in all our sports. Of course, all this work and achievement is due to the girls’ own enthusiasm and talent, combined with a dynamic, dedicated teaching staff. If you would like to find out more about sport and other academic departments at Farnborough Hill or attend our next Open Afternoon please call Director of Admissions, Clare Duffin, on 01252 529811. 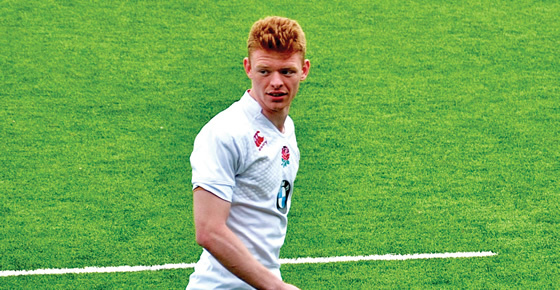 Halliford pupil James Gulliver achieved his first England Cap against Wales U16 this Spring following a rigorous selection process that involved over 100 hopefuls competing at the Wellington International rugby festival. James initially impressed through his performances for local club Weybridge Vandals where his father Stuart played and later coached. James further developed his rugby at Halliford School where he was exposed to a competitive standard of rugby, as well as football, cricket, basketball and athletics, in all of which James represented the School’s A teams from Year 7 to 11. Quickly identified as talented, James progressed through the Surrey youth system where he began his involvement with Harlequins Academy. This heightened standard of rugby provided a more challenging and testing environment. James impressed, so much so that he has represented the Harlequins U18 team at only 15 years old. James was selected to represent London South at the divisional championships which included teams from the other 3 regions as well as two Welsh teams, France East and West, Scotland and Italy U17. He played well in all matches despite carrying an uncomfortable shoulder injury and impressed the England coaches enough to merit selection in the 25 man squad to face Wales. James started the game at 6 and played all but the final 15 minutes. A large partisan crowd watched as England romped to a 34-0 victory with a very impressive display of physical dominance. Those that took the journey down the M4 were not disappointed with the overall performance of the team and in particular Halliford and Weybridge Vandals first England Rugby International James Gulliver. Halliford is a vibrant place full of endeavour. It provides an education designed to help pupils discover their individual interests and talents as well as prepare them for the challenging world they will enter. The small size and family ethos contribute to a warm and friendly atmosphere where pupils feel at ease, are encouraged to fulfill their potential and where all are equally valued. The very able are stretched and challenged whilst the late developer is nurtured. A very close relationship also exists between the school and its parents. At Lanesborough, we greatly value the benefits that a broad PE and Games curriculum can give to boys from a young age. This is why boys at Lanesborough participate in a large number of sporting activities. The school’s highly skilled and friendly Games staff provide a richness of opportunity in a motivated environment, through which pupils are able to learn at their own pace and push their own boundaries. Self-expression and personal development are at the heart of Lanesborough’s sports programme. Whilst the focus is on the core sports of football, rugby and cricket, there is a wide spectrum of other sports for boys to enjoy, including hockey, basketball, volleyball, cross-country, tennis, athletics and swimming. Boys can participate in sport purely for enjoyment or as part of competitive matches and both locally and nationally. Boys at Lanesborough have also competed in IAPS Fencing and Sailing competitions in recent years. 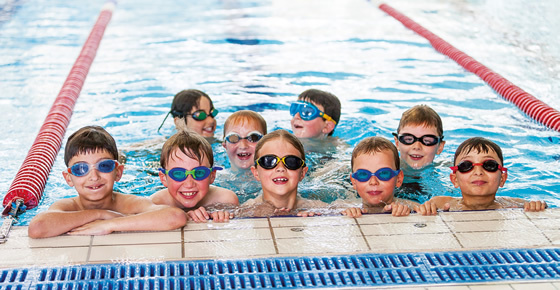 The school’s facilities provide an environment for the boys to develop their skills, with pitches on site as well as at neighbouring Stoke Park and use of the nearby swimming pool at Guildford Spectrum. Our new sports centre is currently in development on site, scheduled for opening in the summer of 2016. Lanesborough boys compete on a circuit against schools in the local area each term. The opportunity to thrive in a competitive environment often leads to individuals being recognised for their determination and achievements on the sports field. In recent years, there have been numerous examples of Lanesborough boys going on to satisfy their high sporting ambitions and it is in no small part thanks to the excellent beginning the school gave them to their sporting careers. However, a ‘sport for all’ ethos is key to the school and departmental aims, with each boy in every Year Group being given the opportunity to represent the school. Our sports clubs are there to allow our boys the chance to unwind, have fun and spend time with their friends and/or pursue excellence. Over fifty clubs a week are on offer, many provide additional sporting options including small group tennis coaching, SMARTsport, speedy runners, judo, athletics and hockey. Our sporting prowess is complemented by a superb music tradition and an incredible range of sporting, creative clubs and activities. Don’t take our word for it – come and see for yourself! For an individual tour with the Head, Clare Turnbull, contact the Registrar, Mrs Gordon on 01483 880652, email secretary@lanesborough.surrey.sch.uk or visit our website, www.lanesborough.surrey.sch.uk for details of our next Open Morning to be held on Saturday 10 October 2015.